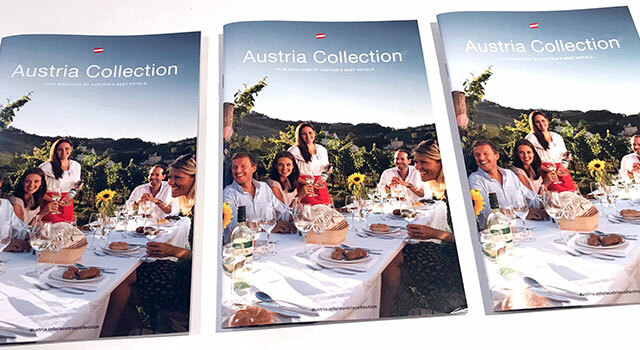 Our long-time client, the Austrian Tourist Office, mandated us with concept development, design and production of its prestigious Austria Collection, a brochure encompassing the finest hotels in Austria. In accordance with brand values and guidelines, we developed a clean design with emphasis on visuals and easy grasp of important information. The brochure was designed for the North American and Australian markets. 1. Coordinated media campaign (Montreal/Toronto) promoting Austrian city packages. The campaign included print ads in Le Devoir and Globe & Mail as well as radio ads in Montreal’s Radio Classique and Toronto’s Classical Radio. 2. Outdoor campaign in downtown Toronto promoting the cultural hub Vienna. Both campaigns involved design, production, media planning and booking. Print ads created for special interest magazines and the travel trade press. A variety of brochures, direct marketing tools and promotional material were created and produced by CommDesign including the coordination and handling of distribution in Canada and the United States. Various display solutions for trade shows in Canada and the United States. Design and production – from a 40-foot banner for a reception at the Austrian Embassy in Washington DC, to a portable lightweight, double-sided display for a trade show in Las Vegas, to a complete booth solution for the International Tourism & Travel Show in Montreal.